Racing driver Vicki Butler-Henderson, Millennial motoring journalist Rachael Hogg, and motoring journalist mum Erin Baker (REV! 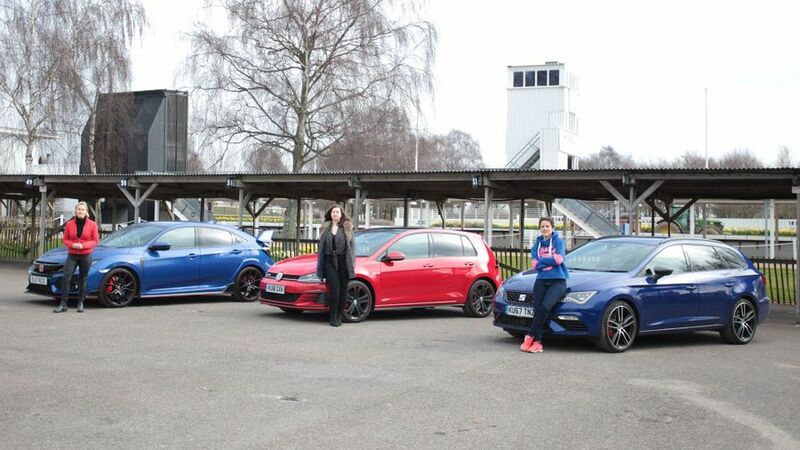 ), are testing three of the UK’s most popular hot hatches, based on how people search for them at Auto Trader. They look at how easily each car can fit into your lifestyle, how offended your mum will be by it, how practical it is for hooning, how easy the technology is to use and, obviously, what it’s like to drive. Of course you’re going to want your hot hatch to handle like a dream, so VBH puts each one through a cone challenge. So, which one gets your vote? The lairy Civic Type R, the sensible-looking (but definitely not sensible) Seat Leon Cupra ST, or the granddaddy of the hot hatches, the Golf GTI?